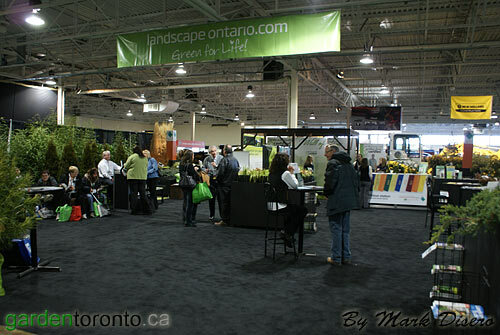 Landscape Ontario does several trade shows per year. The one in the fall is Landscape Ontario's Expo, which caters to the garden and floral wholesalers and retailers. 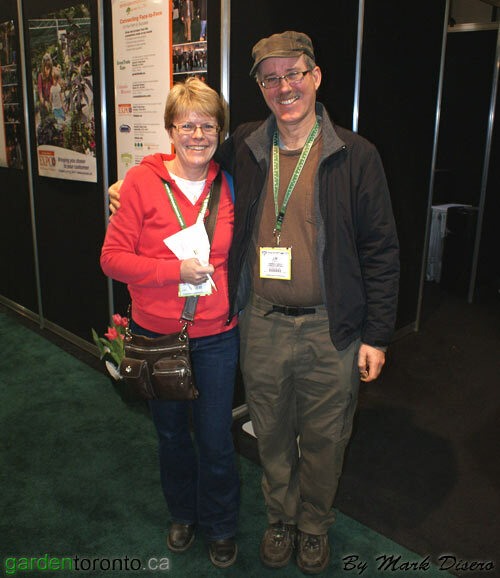 This one, Landscape Ontario Congress, caters to the Nursery and Landscape industry. There is a fair bit of overlap, but you can certainly tell the difference. Congress features all kinds of earth moving equipment, big toys for big boys! This is also a great place for some of the Landscape Colleges to feature their student's work. It is a good environment for them to mingle with the professionals and get a feel for what kind of work they would like to be doing in the future. This year, unfortunately because of the economy, there were less colleges participating, which is a shame because some of the most creative ideas come from these young enthusiastic minds. Last year there were 6, and this year only 3. While I was there I ran into Charlie Dobbin (in pink) and Jim Gray. 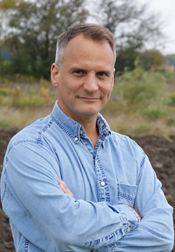 Charlie Dobbin, Horticultural Director of Canada Blooms, has a lot of work coming up, getting everything ready for Canada Blooms. One of her responsibilities is to force all of the trees, bulbs and flowers into bloom for the show. Canada Blooms is a huge garden show, which usually has close to 100,000 visitors over 5 days. It is co-produced by Landscape Ontario and the Garden Club of Toronto.